The Atomic Vantage 97 C – this all-mountain ski in a do-it-all width makes an excellent argument for a one-ski quiver. It’s also a great transition ski for those looking to build their off-piste experience, but still want to enjoy plenty of on-piste carving control. You’ll feel lighter with our revolutionary Prolite construction – added reinforcements only in key zones – and Energy Backbone and Carbon Tank Mesh combine to deliver high strength and light weight to help you ski stronger. Full Sidewall adds stability and enables direct power on whatever you’re skiing – whether it’s slashing and bashing through the soft stuff or carving down the corduroy. 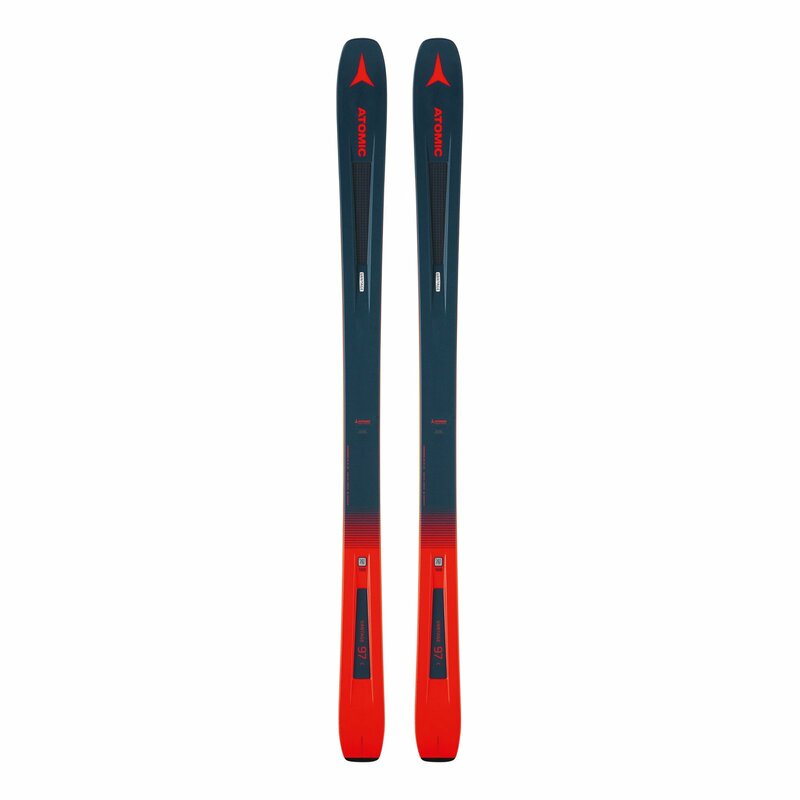 If you want to grab the same ski every time you head to the lift, grab the one that takes less work makes you ski better: the Vantage 97 C.